I hope you're enjoying your summer! 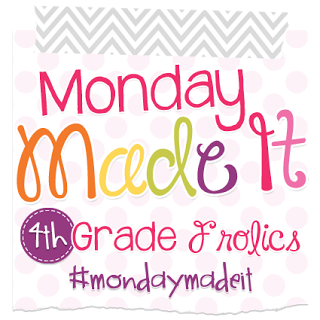 Today I'm linking up with 4th Grade Frolics Monday Made it to make these cute Tooth Fairy Envelopes. If you teach kinder...or first...or second...you probably deal with bloody little baby teeth all the time. I have found a nifty little way to make a big deal out of them without ever actually having to touch the tooth! I have the kid drop the tooth into a tissue. I fold the tissue up and shove it inside one of these little envelopes, close it with a little piece of washi (in case the parent wants to actually see the tooth) and DONE! 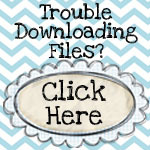 To make them, simply print the label sheet available for free from my TPT store! Cut the labels out and glue them onto 3.125 x 3.125" square envelopes. I get mine at Hobby Lobby. They come in kraft brown and white. They are $4.99 for 25--BUT--they go on sale for 50% off ALL THE TIME. Do NOT pay full price! So that makes them $2.49, or about 10 cents a piece. I can afford that! As kinder teachers we have to deal with poopy pants, snotty noses, skinned knees and bloody teeth. One of my goals is to make it a little less gross. (But no--I do not have a cute way to send home poopy pants). This is adorable! Very cute and clever! So CUTE!! Thanks for the post! Visit me at PJ Jots! Fabulous idea! I actually have kids that are in 5th grade still losing teeth, so this would work for them also! That is a really cute idea! Love it! I love these! Thanks for sharing! !